Dr. Jan Hively is the co-founder of several advocacy networks for aging adults, including the Pass It On Network, the Vital Aging Network, and SHiFT. She spent much of her career in leadership positions in government, education, and nonprofit sectors, where she served as president and executive director of the Golden Apple Foundation for Excellence in Teaching in Chicago, founder and executive director of the Minneapolis Youth Trust (now AchieveMpls), deputy mayor of Minneapolis, and director of outreach and a faculty member at the University of Minnesota’s College of Education and Human Development. 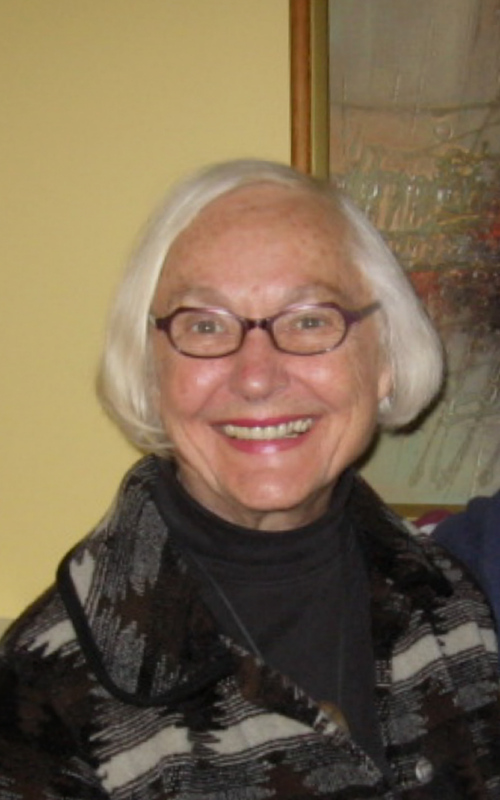 Dr. Hively was a congressional appointee to the White House Conference on Aging in 2005, received the Dutch Kastenbaum Award from the Minnesota Gerontological Society, and was named a National Purpose Prize Fellow by Civic Ventures. She received her Ph.D. in education for work and community from the University of Minnesota at age 69. I first learned my leadership skills as a volunteer. When I was a homemaker, I was active in the League of Women Voters, where I was able to gain experience in the whole process of community organizing, including group facilitation skills, asking questions, and how to develop decisions by consensus. There are a lot of different ways to learn valuable leadership skills. I’ve realized over my career that I really enjoy working through peer-to-peer networks rather than hierarchical organizations. I feel that networks are our future; peer-to-peer communication fits the time and capacity of people today, and provides grassroots experience, which is important. I follow my mantra “meaningful work, paid or unpaid, through the last breath.” I continue to work on projects and issues I care about because they’re important to me and because I feel I can continue to make change happen. I’m an issues person—I do a lot of reading, receive articles about aging from all over the world, and look for upcoming trends and needs related to those trends. Much of the work I do involves connecting people and raising awareness of what is happening and facilitating discussions to gather and share resources to fill those needs. I also try to empower others with advocacy leadership skills and the tools to move ahead on their own. Once that leadership is cultivated, with an action plan and resources to move ahead, I can leave that work in the hands of capable leaders and move on to my next project. I agree with Freud in that the two most important things in life are work and love. I’ve been a workaholic at times in my life and sometimes felt I’d lost my sense of balance, but I love the work that I do and can find it difficult to pull myself out of it. I’ve recently come to the realization, however, that setting aside time for personal interests, such as writing, is also very important to me, especially as I’m getting older. Although I love my work, I’ve begun to extricate myself from several projects so I’ll have more time to do other meaningful personal work. The biggest challenge I’ve come across is shifting people’s attitudes, which I’ve most recently been addressing through my work in aging. Our attitudes are shaped by culture, and changing those attitudes can be extremely difficult when the culture around us still reinforces them. I believe that some changes are very important to make, such as moving from being passive consumers to proactive life planners, from dependency to self-determination, and shifting focus from needs to strengths. For example, I firmly believe that aging adults need to be included in decisions made about their lives; one of the sayings I impress upon older adults is “nothing about me without me.” I want to help people make decisions for themselves for as long as possible, which requires self-advocacy. So I co-created an advocacy leadership development curriculum that is now used by senior service providers across the country and managed by the Life Planning Network. I think one of the biggest leadership lessons I’ve learned throughout my career is that all of us are lifelong teachers and learners. Leadership is something you must consistently develop and work on, and as a leader, you are always passing along knowledge to others. In order to be an effective leader, you must understand how people learn and how you can help them grow. Workplace learning is not much different than school learning. In elementary school, educators teach students so they can do things on their own successfully. Similarly, in the workplace, leaders are successful when they are able to help their colleagues do something on their own and do it well. It’s important for leaders to help others understand this and to get everyone on the same page in knowing that by sharing our strengths, we help ourselves, each other, and our communities. I really enjoyed my time as a Fellow, especially our cohort dinners. I loved the format of these dinners—conversational but informative—and have been actively involved in them as both a participant and as a presenter. What I particularly found to be great about EPFP was the network it introduced me to. I regularly reached out to EPFP contacts in my work on youth projects at the mayor’s office and while working at the University of Minnesota, and found the access to fellow leaders to be very helpful in advancing my work and projects. And, I always thought that the continuity of leadership from IEL and EPFP from Betty Hale, Mike Usdan, Van Mueller, and Marty Blank has been central to the quality of the EPFP experience. EPFP is valuable because leadership development is so important. Everyone is a leader; we just need to learn and develop those skills, and EPFP does that. The program also provides continuity and clarity in a fragmented, complex world. It serves as a place within education to talk about important issues and share and experience different perspectives. I think an interesting theme that EPFP might emphasize is the cradle-to-grave continuity of lifelong teaching and learning. With a large percentage of our population entering into their senior years, continuing to engage them in learning and teaching experiences is very important.